This report presents an overview of the 'high tech' sector in Leicestershire. These tables bring together a range of results on a particular population and are currently only available at Local Authority level and above. Leicester Works, Leicester Local Employment Strategy. An analysis of how public sector organisations in Leicestershire can buy more effectively from local SMEs with the aid of ecommerce. Following the recent boundary changes in Leicestershire these area profiles provides a summary of the key data for each of the eight Electoral Divisions in Blaby, using the 2001 Census. 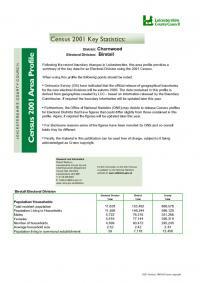 Following the recent boundary changes in Leicestershire, these area profiles provides a summary of the key data for an Electoral Division using the 2001 Census. Following the recent boundary changes in Leicestershire these area profiles provides a summary of the key data for the four Oadby & Wigston Electoral Divisions, using the 2001 Census. 1)The profiles below provide a summary of all the main Census topics for each ward in the District. The profiles have been compiled using the Key Statistics Tables series released by the Office of National Statistics in 2003 and also provide comparison figures for the District and County areas. This report examines the skills priorities and employer engagement activities of agencies in Leicester Shire. Initial findings from the Scarborough Tourism Economic Activity Monitor (STEAM) for Leicester City and Leicestershire. Estimates the economic impact of tourism. Provides a comprehensive analysis of tourism revenue, tourist days and employment. 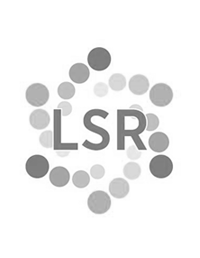 The Leicester City Council's Consultation Toolkit provides a wealth of information on consultation and research to help those undertaking consultations. It is designed to help those who may have had limited and little experience with undertaking a consultation exercise. ethnicity that has ever been released. To understand ethnicity is key in interpreting many of the social and economic trends in the county. A new website that offers a profile of the quality of life and services for each local authority area has been launched by the Audit Commission. Study into a wide range of issues relating to the economic and socio-economic impacts of sports tourism. This report aims to flag up geographical inequalities in Leicestershire and Rutland across a range of headline health indicators.